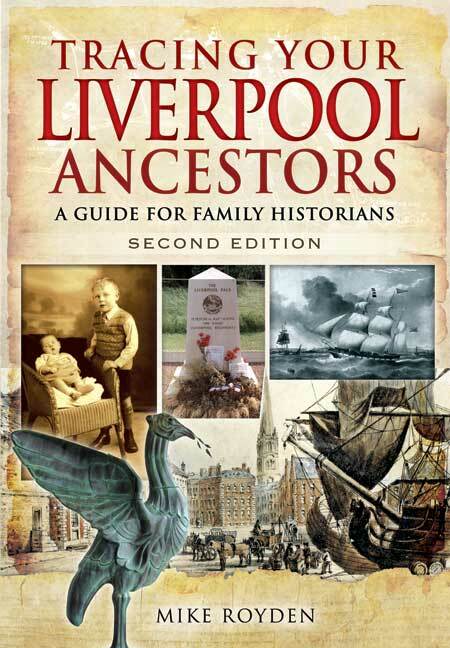 You'll be £14.99 closer to your next £10.00 credit when you purchase Tracing Your Liverpool Ancestors - Second Edition. What's this? This updated second edition of Tracing Your Liverpool Ancestors gives a fascinating insight into everyday life in the Liverpool area over the past four centuries. Mike Royden's highly readable guide introduces readers to the wealth of material available on the city's history and its people. He looks at their living conditions, at poverty and the labouring poor, at health and the ravages of disease, at the influence of religion and migration, at education and the traumatic experience of war. His book is a valuable tool for anyone researching the history of the city or the life of an individual ancestor. Looking at how Poor Law, migration, education and the experience of war affected Liverpool, the book directs us as to how best to research our family there. It's a fascinating history in itself, but an invaluable handbook to anyone compiling a family tree whose roots are in Liverpool. The definitive guide to Liverpool roots. If you're looking for your first guide to tracing your Liverpool ancestors, or wondering whether it's worth replacing your well worn first edition, this book would be an excellent choice and represents good value for money. The second and extensively revised edition of a highly successful book - one of the best in the Pen & Sword series of subject-specific handbooks for family historians. It is illustrated with many real life examples, often from the Royden family archives, and is a model of its kind and thoroughly recommended.